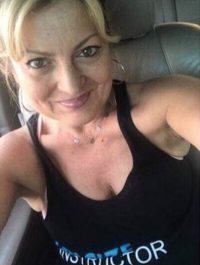 The Clean Zoi™ Plan was uniquely created by Kathy Skettos, Founder of OPACIZE Greek Dance Fitness who herself follows the Clean Zoi™ lifestyle and has lost 17kgs within a 6 month period. It was created for people who like Kathy enjoy the simple pleasures of life such as dancing and good food, however no matter how much they dance and workout and make changes to their diet, they find themselves gaining weight and unable to lose the excess kilos. Weight loss is “rocket science” for some people. FACT: The inexplicable force we call our metabolism does begin to grind a bit slower every year from the age 30 onward – we stand to gain 1-2 extra kilos each year and by the time we hit the age of 40 years, many of us find ourselves very overweight. This is a lifestyle made up of an adequate amount of fat and protein, low carbohydrate, zero processed sugar diet which provides easier access to your fat stores within your body to burn them off. Your body will burn fat more effectively as the high insulin levels within your body are decreased/eliminated, this switches your body’s fuel supply to run mostly on fat, therefore burning fat 24/7 – this is called “KETOSIS” – Ketones are produced if you eat very few carbs (carbs are quickly broken down into blood sugar) and only moderate amounts of protein (excess protein can also be converted to blood sugar). The liver produces Ketones from fat (therefore adequate fat allowance). These Ketones then serve as fuel source throughout the body, especially the brain. The brain is a hungry organ that consumes lots of energy every day, and it can run on fat directly, or ketones. LOW CARBS between 20 – 50 grams daily is ideal – natural carbs are found in many nuts, fruits and vegetables. I stay away from processed carbohydrates – I avoid Starchy foods such as bread, pasta, rice and potatoes as these are very high in carbs. WATER – 2 litres must be consumed daily. Be careful of not to consume sugary drinks and mixers. Small amounts of milk or cream in your coffee daily is ok, as is the occasional glass of wine. NUTS are high in fat and contain some carb content, be aware and do not eat huge quantities. FATS come in “good fats” and “bad fats” – be sure to read the back of packaging and go easy on your fat choices. Stay within our 65 gram daily fat count. Dairy products are high in fat count, limit your dairy intake. DO NOT USE ANYTHING THAT ENDS IN “ITOL” AS IT IS ARTIFICIAL AND HAZARDOUS TO HEALTH. DETOX is a 7 day period that we run as part of our “30 Day Transformation Challenge" that enables your body to adjust. You may experience weakness, fatigue and headaches, this is normal as your body detoxes and adjusts. Please do seek medical clearance by your General Practitioner if you have a pre-existing medical health condition or if you are unsure. TRANSFORMATION is our 30 Day Challenge and it is where you will shed fat and transform your life and body, providing you do commit 100%. MAINTENANCE is where you stay on track to ensure you maintain your weight loss, with the guidance of our plan. If you have not reached your desired weight, we recommend doing another round of CLEAN ZOI™ 30 Day Transformation Challenge. We are proud and excited about our Clean Zoi™ Plan and we know you will love it too. We have changed the lives of over 100 people in only 2 months … It is doable, it is easy to follow and it works! NEXT CLEAN ZOI™ 30 DAY TRANSFORMATION CHALLENGE STARTS 13TH MAY - TO REGISTER PLEASE PURCHASE ONE $30 TICKET FROM OUR ONLINE STORE. Thank you – OPA to the new you, the “you” you were designed to be! !